Canterbury-born Anthony Wilding was one of the stars of tennis in the decade before the First World War. The ‘dashing New Zealander’ had ‘female spectators swooning’ at the ‘manly brand of tennis’ which saw him win four successive men’s singles titles at Wimbledon between 1910 and 1913. When war broke out the British-based Wilding joined the Royal Marines, rising to the rank of captain in the Armoured Car Division. He was killed aged 31 during the Battle of Aubers Ridge at Neuve Chapelle in northern France. He is buried in Rue-des-Berceaux military cemetery. Wilding left Christchurch in 1902 to study law at Trinity College, Cambridge. But it was on the tennis court, rather than in the law courts, that he was to make his mark. In addition to four Wimbledon singles titles, Wilding also won the doubles on four occasions, as well as national titles in his home country, Australia and South Africa. 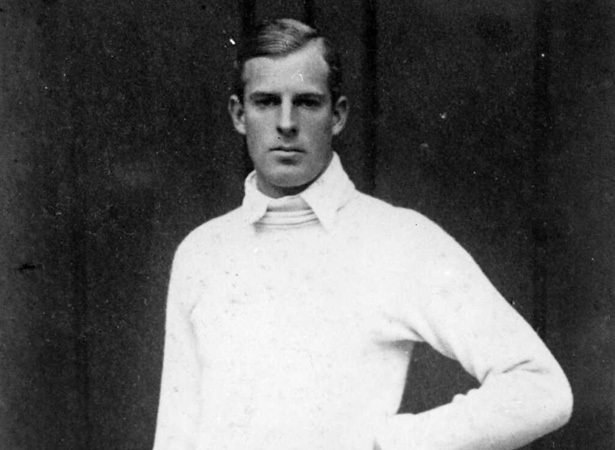 At the 1912 Stockholm Olympics, in which New Zealanders competed as part of an Australasian team, Wilding won the bronze medal in the men’s singles. He was also a member of the Australasian team that won the Davis Cup in 1907, 1908, 1909 and 1914. At his peak in 1913 he won all three elite singles titles: Wimbledon, the hard-court at Paris and the covered-court at Stockholm. Tennis had previously seen as a pursuit for ‘wealthy gentlemen’. Wilding helped it gain greater respect as a sport through his dedication to training and fitness. Unlike many of his fellow players, he neither smoked nor drank alcohol. Wilding’s obituary in the Christchurch Press stated that he had ‘carried the name of the Dominion into regions of the earth where it was probably unknown until it became associated with his fame’. His home town honoured him with the naming of Wilding Park - the home of Canterbury tennis. He is a member of the International Tennis Hall of Fame and the New Zealand Sports Hall of Fame. We have 20 biographies, 40 articles, related to Kiwi Wimbledon champ killed in battle.